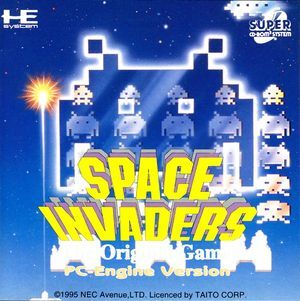 Space Invaders: The Original Game is based on the 1994 arcade game Space Invaders DX but lacks the parody mode of that game. What remains is the classic mode that allows the player to choose the type of arcade cabinet (upright, black & white, etc.) as background to the action as well as the versus mode for two players. The versus mode is split-screen, each player trying to survive and eliminate more invaders than the opponent. There is also an additional "cosmic versus" mode, where the background is composed of anime-style pictures of girls. They also appear in the "omake mode", which is a single-player variant with the same backgrounds. The graph below charts the compatibility with Space Invaders: The Original Game since Dolphin's 2.0 release, listing revisions only where a compatibility change occurred. This page was last edited on 28 December 2017, at 14:51.